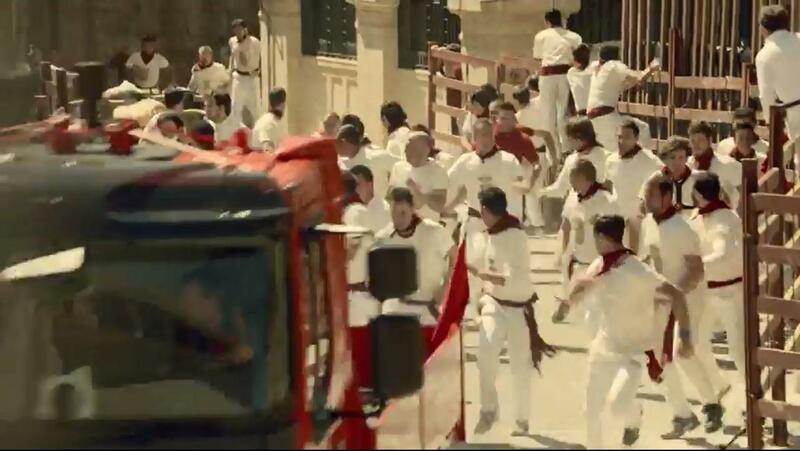 Precision driver Rob Hunt, known for his work in film as a stunt driver, drives a Volvo FL truck through the streets of Ciudad Rodrigo in Spain, running ahead of the bulls with the crowd of young men who usually show up to do the same. Volvo is doing a bunch of videos showcasing their trucks in Europe and the Americas in odd scenarios like this. This one is to showcase the distribution truck, the Volvo FL, and its maneuverability. Mercedes-Benz G 63 AMG Offroad Machine – Better than a Raptor?